There’s no reason Stanford shouldn’t have this meet locked down, but the battle between the two MPSF teams in Sacramento should be fascinating. Sacramento State started the season truly on the struggle bus at the NorCal Classic last week, but it has a few critical freshmen who could ease the pain as they work their way into lineups after short term injuries in the fall. Division II Seattle Pacific is opening its season tonight, but from what I’ve heard about its intrasquad early in December, it should be in fairly good shape—I’m hoping for fireworks from freshman Ciello Magsanide, a former clubmate of Oregon State’s Maela Lazaro. Stanford was surprisingly even-keeled at NorCal last week, turning in a respectable low 195 and holding off a surging UC Davis for the title with the help of an imperious performance by sophomore Kyla Bryant. I’m hoping to see higher scores from newcomers Grace Garcia, Morgan Hoang and Grace Waguespack, all of whom can be better than their slightly nervy debuts in Sacramento last week, and we’re all curious for the debuts of the last two freshmen. Okay, these are lineups. Forget everything I just said. Nothing from the other two Stanford freshmen. Nothing more from the Sac State newbies. No Ciello Magsanide. So many questions. MATHIAS – CSUS: Yurchenko layout, okay with a step back. DURST – SPU: Things got weird there. Good bail and an okay landing on the double back dismount. COLE – STANFORD: Some stuff… I’m still getting settled here haha. Split to double stag. Front aerial. Good double full dismount. CATOUR – CSUS: Another layout with a bit of a stumble back. Season debut for her. 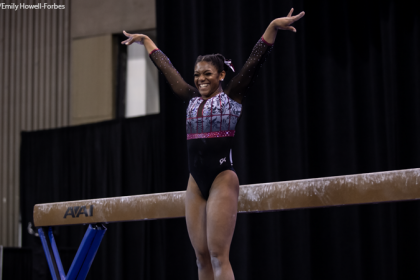 MATSUNE – SPU: So excited to see her back on bars!! Blind to Jaeger, peels and lands on her back. Bail a bit straddled, blind full double back with a lunge forward. Welcome back! She’s always been great on bars, but last year she had a wrist injury that restricted her to Bluetooth beam. STEPHENSON – STANFORD: Front aerial really nice. Flic layout, a bit of leg in the back leg, switch to sheep really nice. Gainer full landed with her chest a little down. 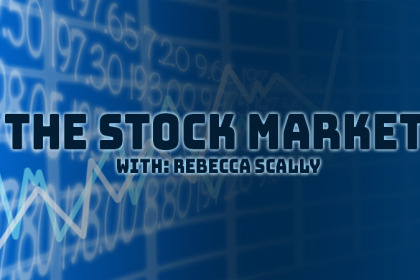 WATLEY – CSUS: Tuck full, a billion steps back. ZIMMERMANN – SPU: Blind to Jaeger, really gorgeous, just a bit off on her bail, blind full to double back with a step in place. She can be such a star for the Falcons. FLAM – STANFORD: Flic two foot layout… big check, hops around on one leg for a while but stays on. Punch front, she’s right on top of herself and comes off. Cat leap switch side, front full a bit low with a step forward. SCHMEISS – CSUS: Tuck full with her chest a little down and a step to the side, but the best vault of the lineup so far. SAN ROMAN – SPU: Toe on to Maloney to overshoot, a little bit of shaping stuff but pretty clean. Blind full to double pike with a big lunge forward. LAWSON – STANFORD: HOLY CRAP she landed her Arabian!! A step but like, who cares. A few checks on other things, like her full turn, feet on her acro series, but guys she did the Arabian. BRENT – CSUS: Yurchenko full with a hop back, pretty good! BURNS – SPU: Handstands are just stunning. Jaeger to overshoot, short on one handstand, blind full to double back with a quick step to salute. BRYANT – STANFORD: Full turn is great, flic layout with a big leg up but she gets it back under control. Split to switch split jump, love those. Punch front great, she’s one of the very best at using her arms to control beam. Double back dismount with a hop back. BELKOFF – CSUS: Yurchenko arabian, lands a bit rockily, I think with her knees locked by the way she winced, but keeps it to one small step forward. Best vault of the lineup. BRANE – SPU: Fall on her Gienger. Great bail, lovely handstands, full turn and drops her knees on the double back. FITZGERALD – STANFORD: Full turn is really nice, front aerial back tuck with a little check. Switch to split solid, hitch kick to front aerial 2ft. One and a half dismount stuff. GARAY in exhibition for Sac State. Pretty good landing. N. HOFFMAN for Stanfrord. Flic layout with a leg up… and she’s off. Gets through the rest fairly clean. Pretty solid start all around. Some falls on bars for SPU but I’m not going to begrudge them that in the first week, and some of the scores there were lower than what I’d have given too. Moment of truth now for the Hornets—bars was the really painful event at NorCal last week. They don’t need to be perfect, they just need to catch their releases. BELKOFF – CSUS: Hop change to front 1/2 to overshoot, solid start. Double lay, she has to tuck the second half to get it around, but a hit’s a hit. ZIMMERMANN – BEAM: Cat leap to side aerial, bit of a check but hangs onto it. Full turn nice, flic loso with feet and falls. She never had the momentum to get her chest up there. One and a half dismount… ooh yikes, it goes sideways and she lands right on the end of the mat but she’s okay. COLE – STANFORD: Two and a half punch front is great, she looks thrilled. Switch ring switch 1/2 solid, I can’t decide how I feel about some of Stanford’s floor routines but they’re definitely more engaging than some of the ones we’ve seen in recent years. Rudi solid, a little underrotated if anything. KONE – CSUS: Gienger, legs fly out on the catch. I think that was a bail, double back dismount. CHAN – SPU: College debut for the freshman from Waller’s! Flic loso is rock solid. I could watch Miyuki Matsune cheering all day, the anxiety-joy loop every five seconds is just beautiful. Switch switch 1/2 to beat I think? the switch 1/2 was ridiculous especially for Division II, good for her! Side aerial back full, dismount looks a little underrotated but not a catastrophe. Really really good! H. HOFFMAN – STANFORD: Front thru Rudi, I missed the leap series I think. Double back great. Another Rudi to double stag. MARQUEZ – CSUS: Jaeger is too far from the bar and she can’t catch it. Good overshoot, blind change to double fall and stumbles back and sits it. Sad for her but at this point Sac State can hope to drop that. BURNS – SPU: Leg over shoulder mount is my LIFE. Great acro series, cat leap switch side is beautiful. Punch front beat jump, she’s got this great mysterious little smile that says “I’m happy that I landed that but I’m being cool about it” and a punch front tuck full dismount that went out of frame. UGH I can see Magsanide in the background on crutches with her knee in an ice pack. Hopefully it’s short term. FLAM – STANFORD: Double arabian with a couple of steps but keeps it in bounds. Back with a front full front lay that she’s right on top of, good leaps. Double pike is great. Good one! WATLEY – CSUS: Just caught a huge full out dismount there, beautiful. BRANE – SPU: Full turn. Okay, this stream is in full meltdown mode now. I’m going to give it a few minutes and come back. Got back just in time to see Kyla Bryant hit her front thru double pike on floor with a possible OOB? This stream really isn’t into showing us lower bodies. Great double back though. I missed most of that rotation unfortunately. Really excited with SPU’s proximity to Sac State, though. This could go a lot of different directions. COLE – STANFORD: Y full, deep and wonky, landing looked painful. BRAIDA – SAC STATE: An unfortunate fall on the mount choreography. Not something that would usually happen but Sac State’s just been on the wrong foot this season. GAUNA – SPU: She’s a stunning performer, love to watch her. Rudi to split is bouncy and satisfying. Front lay front full punch front…. or something… is really close to the line, I think she had one toe out but we didn’t have a camera on the linesperson so who knows. One and a half and misses the punch, sits her front tuck. SCHMEISS – SAC STATE: Flic loso with feet and a little check. Straddle series is gorgeous, just some low landing positions here, gainer full dismount with a hop back. MATSUNE – SPU: Front Rudi to split is great. Front full front pike is really nice, got some really fun dance, she’s so expressive. Lovely leaps, one and a half punch pike front. Honestly one of the better routines of the meet, I loved it. BRYANT – STANFORD: Beautiful full, hop back and points her toes in the air on the hop, we stan. KOETH – SAC STATE: Walkover over the beam to front support, really pretty, gorgeous triple series. Beat to split ring hit. Front aerial, leans and she’s off, bummer. BRENT – SAC STATE: Flic layout is gorgeous. Short of splits in her leap series, something else happened, good side aerial, nice full turn. Gainer pike with a good landing. I’m having the worst time with the stream. Think I saw Jadacie Durst have an okay floor routine. MARQUEZ – SAC STATE: Flic loso, off line and lands it shockingly well for what it was. Split to sheep is pretty solid. HOANG – STANFORD: Yurchenko layout. I’m pretty certain she used to have a full, not sure what happened to it. MATHIAS – SAC STATE: Saw a front aerial to back handspring. BURNS – SPU: Please let me see this whole thing. Front thru double pike, fantastic. She’s a rockstar on this event. Switch side to Popa to wolf full, lovely, double back just underrotated with a step forward. Mariah York in exhibition for Sac State. I got her name wrong last week but NOT THIS TIME LOL. Switch to split (?) 1/4, nice and steady, front aerial with a lean but hangs onto it. Turns around and does a front aerial to back tuck, great, that was probably an intentional redo since she couldn’t get the connection the first time. Full turn, sideways straddle 1/2, those things are so mercurial but she just needs a foot shift to hang onto it. Front full dismount really nice with a hop to the side. Commentators think Sac State’s keeping its lineups the same for mental game reasons but that that routine will be in there soon. I’d tend to agree. OOOH things are close. I used up most of my anxiety on Auburn but this is still really cool. Good for you SPU! Vault isn’t always a rainbows and butterflies rotation for the Falcons but this could go either way. LAWAL – SPU: Tsuk half!! Pretty sure that’s an upgrade and she used to do a layout. Don’t kill me if I’m wrong. PRATT – CSUS: Saw a really good Rudi, one and a half front lay is good. Front layout front full, apparently that’s an upgrade from last week. DURST – SPU: Yurchenko full, bit messy in the air but solid. 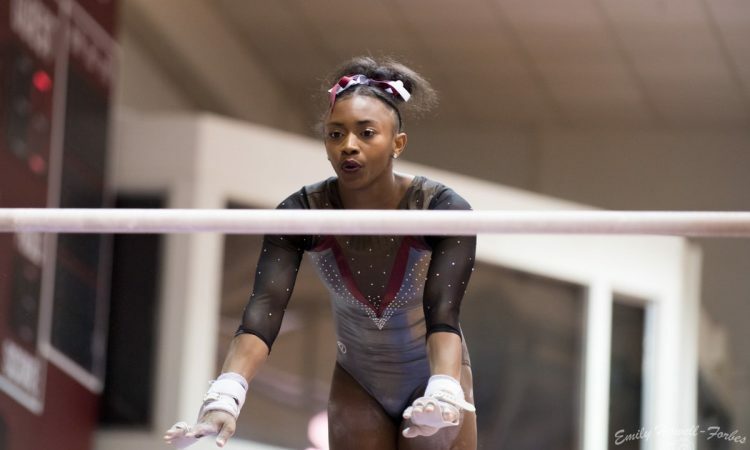 STEPHENSON – STANFORD: Toe on to Tkachev, too far out and can’t catch it, falls to her knees. BELKOFF – CSUS: Double pike. One and a half punch layout is pretty good, rest of that routine is in the void. CHAN – SPU: Sits her handspring front. I doubt that’ll be credited but worth a try I guess. 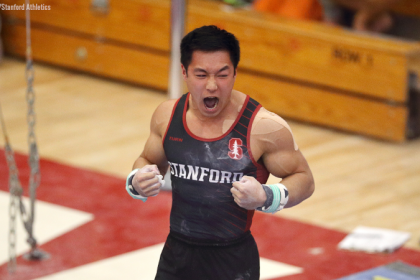 WAGUESPACK – STANFORD: Love this routine. Toe on to Maloney to Pak, gorgeous. The dismount is the problematic bit sometimes… Oh it’s great! Hop back. CATOUR – CSUS: Double pike with chest down and a step forward. Lost the rest of the video but sounds like she had a fall. ZIMMERMANN – SPU: Yurchenko Arabian, it was half tucked. 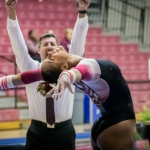 GARCIA – STANFORD: Blind full to Tkachev to overshoot, some of her casts are touchy, weird release on her double front dismount and lands on her back. SAN ROMAN – SPU: Bit of form on her Yurchenko full but really solid landing. YU – STANFORD: Maloney to bail gorgeous. Blind full double back with a hop back. BURNS – SPU: Great full with two steps back. BRENT – SAC STATE: Should need a 9.6 to tie SPU, any more passes obviously. Double pike to start is solid, leap pass looks short to me. Front lay front full just okay in the air but solid landing. Double back underrotated with a big step forward. Should be enough, but won’t be anything thrilling. I cannot believe the luck of Sac State to squeak a 190 exactly two meets in a row. Nobody will be thrilled with their performance tonight but nothing horrifying happened either. I’m really hoping for a bit more action from SPU’s freshmen, but it put in a fairly respectable first meet. For the NorCal pair, my thoughts are pretty much identical to last weekend: Sac State needs more freshmen and Stanford needs more time.